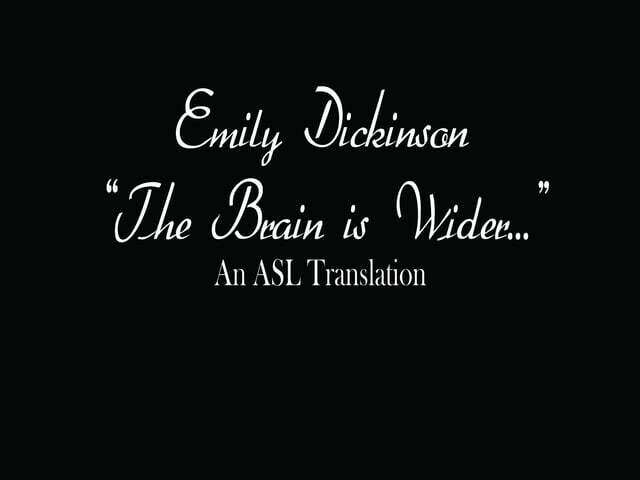 One of the most fun poems I've translated! "Slant" was a tough word to deal with in translation. What exactly does Dickinson mean by it? I translated this poem several ways, and this is the version I felt the most satisfied with, but I'm still not 100% sold on it. 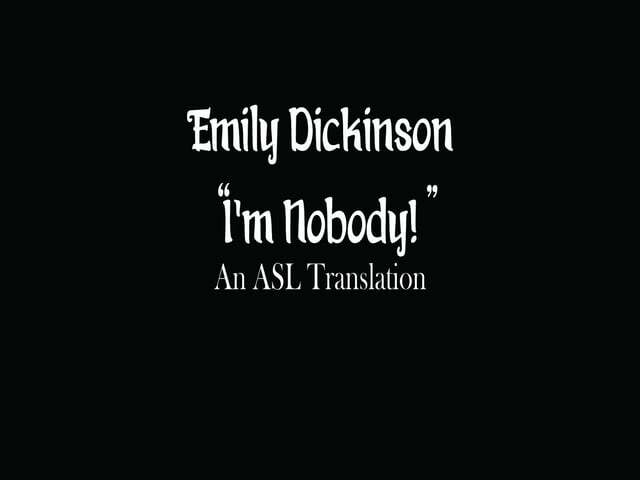 Ruth Anna Spooner translates literature into her native American Sign Language. But I also enjoy translation. 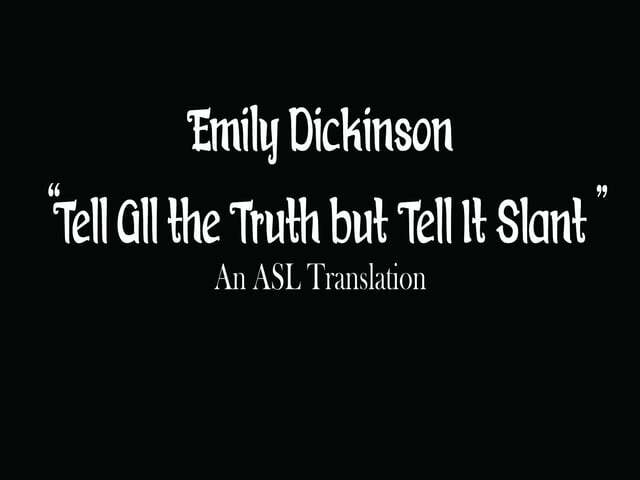 More specifically, translating literature into American Sign Language, which is my native language. Fiction, non-fiction, poetry, you name it. These videos are my experiments in translating from a print language to a visual language. Any translator will tell you that the task of translation is an exhilaratingly challenging one, and as a translator, you are never satisfied with what you've done. You always see a different way that you could do it, and I'm no exception. Some of my translations I like, but others I want to redo someday. I'm always tinkering with them. For now, though, here they are: my imperfect, thoughtful, and sometimes silly attempts at translation.